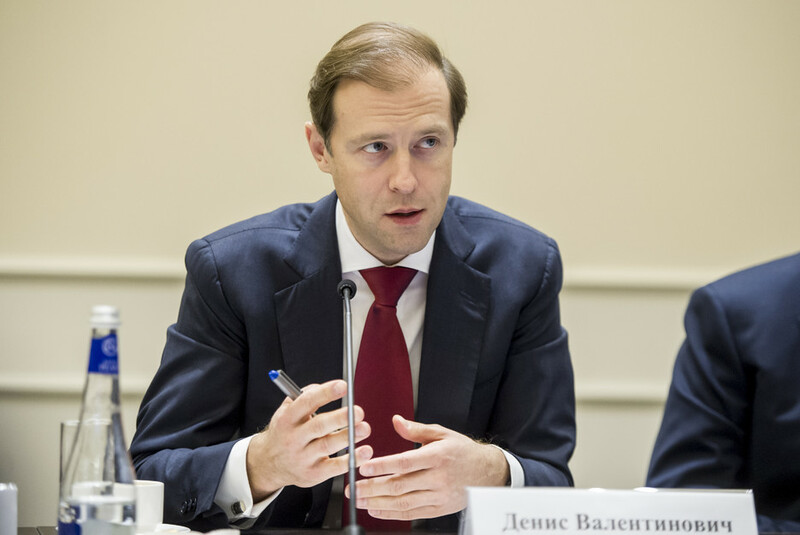 Industry and Trade Minister Denis Manturov. Even more vast horizons will be opened with Russian and Indian cooperation in developing the high-tech sectors, Industry and Trade Minister Denis Manturov said. Russia offers Indian companies to participate in joint high-tech projects, Industry and Trade Minister Denis Manturov said Monday. "Even more vast horizons will be opened with Russian and Indian cooperation in developing the high-tech sectors, which have great prospects for development in the global market," Manturov said at a plenary meeting of Innoprom, a major industrial trade fair underway in Russia’s Yekaterinburg, which runs through Thursday. Manturov noted that several technology initiatives that focus on the creation of various types of unmanned transport and new industrial technologies were being launched in Russia. "We are setting as our priority the development of other cutting-edge areas, such as technologies for processing industrial waste, biotechnology, alternative energy and others," Manturov added. Delegates from 95 countries are take part in the tenth annual Innoprom trade fare held in the Russian city of Yekaterinburg. "I am sure that these areas will soon be capacious and fast-growing, and will be just as interesting to our colleagues. We are able to jointly develop new points of growth, bringing together our efforts both at the stage of research and with creating an international consortium to implement specific international projects. We need to focus our competence to conquer the high-tech products in the economy of the future," the Russian minister said. According to the Russian authorities, Innoprom trade fare is planned to host some 150 forums and workshops with over 500 speeches expected to be delivered and some 40 contracts to be signed. The Innoprom-2016 fare will take three pavilions to exhibit cutting-edge inventions in industrial sectors, including industrial Internet, robotics and industrial funding. Indian and Italian business associations as well as major enterprises such as Rostec, Dr Willmar Schwabe Pharmaceuticals, Sinara Group will be the key participants of the high-profile event.